Thanks for reading Vietnam Coracle. I hope to hear from you soon. Great site. I have been using it a lot as I plan my upcoming trip. I am now in Kampot Cambodia and hoping to start a motorbike trip around Vietnam next month. I have been looking for a Vietnam-plated bike Honda Wave or Dream here with no luck, so I am wondering if you would recommend going over the border and getting one in Ha Tien or Chau Doc. If so, can you make any suggestions on how to find a decent used one? I don’t really have any good information about that, although I would expect it to be easier to find a bike to buy in Ha Tien than Chau Doc. It might be worth contacting Andy at Oasis Bar in Ha Tien for some advice – if anyone can help you get a bike there, it’s probably Andy. Yes I had actually read about Andy on your site and heard about him from other people in PP. I will definitely do that. My partner met you in Thailand just recently. She mentioned you had spent some time in Vietnam and to check out your page. I am amazed by the amount of content you have put together and shared and like many others I am very thankful. My partner and I are planning to meet in Vietnam in a few weeks time and explore for three weeks in total. I have always dreamed of riding through parts of Vietnam and am very excited to get there. One thing which had put me off was the license and I think on one of the other comments you stated having the money for the fine is an easy solution? Also I have had quite a lot of experience riding and in quite a few parts of Asia although my partner has none at all. Would you recommend against taking her to the road or just be careful to avoid busy cities and keep day riding distance to a minimum? Well, licenses is still sort of a gray area and sort of in flux all the time. The bottom line is: as long as you are not riding in Ha Giang Province or the ocean road between the Red and White sand dunes near Mui Ne, you are still quite unlikely to have any trouble. You might be pulled over by the police, but after brief, polite, smiley conversation, a ‘fine’ of 200,000-400,000vnd (about $10-20) is paid then you can go on your way. Since last year, it is now virtually impossible to ride in Ha Giang without a local license. On that sand dune road in Mui Ne, there is an easy way to bypass the police completely – see the first few paragraphs and the red line on the map in this guide for details. Also, if you’re renting your motorbike from any of the recommended companies on this page, they should be able to give you some more advice about licenses and the police. If you’ve had experience riding in Asia you should be fine and know what to expect to a certain extent. But if your partner has none at all then some of the riding culture will come as a shock and be potentially dangerous. The cities especially can be daunting at first. But if you start your road trip from somewhere other than Saigon and Hanoi (Danang or Phan Thiet/Mui Ne, for example) the roads are much quieter and you can avoid the urban sprawl of the bigger cities. Okay maybe she meant she met someone who’s followed the advice of your page hahah. That helps a lot and clears up a lot of my concerns. I will start to build an itinerary now following your advice and page. Really appreciate you taking the time to get back to me. got the link to your website last night in a guest house from a traveller, who is fascinated of that. How can I find a buddy, who wants to do the same? I can try on FB “Vietnam backpackers”. Or take an Easy Rider? How does it work with your service? I just take your links e. g. to rent a bike or accomodation? You can try posting in the Vietnam Back Roads Facebook page to find travel buddies. You might meet a few people on bikes on the road, too. For supporting my website you can book your accommodation, transportation, or make a donation – more about all of that here. For the route between Phan Rang, Dalat, and Saigon there are lots of good roads to choose from. To get an idea of what possible routes there are in that region, try opening my Vietnam Coracle Map and then zooming in on the relevant area, then clicking the green motorbike symbols on the map and follow the links to the motorbike guides for full details. You can also choose to send your motorbike back to Saigon from Phan Thiet – that way you don’t have to ride all the way back to Saigon. Helloo Tom, I have worked myself up into a foaming ball of excitement perusing your travel guides. Its grand to find a site with such great content. The challenge is picking an adventure. I will be meeting 3 other friends in Vietnam from early Feb, having inadvertantly booked our trip coinciding with Tet. They really want to see Hoi An but also do some riding. We have 8-10 days. I have been considering the coast road to Hoi An but am wary of spending too long in the saddle getting to places rather than enjoying them. I am curious as to whether your time estimates cover your side trips to places like the Cam lap promotory and the Burnt road etc? Fly to Hoi An, get a bike, complete the golden loop and meander down the coast getting as far as we do with the remaining time and getting the bikes back to HCMC as a one way rental on the train around the 15th Feb.
As we will be in HCMC at the start of Tet any sugestions for fireworks spots or good shindigs? Thanks for your time, truly appreciate your efforts here. you do an epic job! Firstly, you should be aware that Tet is not a great time to travel in Vietnam. The week leading up to it should be OK, but from Tet day for about a week after it the entire country hits the road, many destinations are packed, and many businesses close, including some motorbike rental companies. The dates this year are around 5-15 Feb. Bear this is mind when planning your trip. As your time is quite limited, I suggest you start your road trip in Danang or Nha Trang. The Golden Loop is excellent, but the weather may not be ideal at that time of year. You could take the Coast Road route south from Danang/Hoi An to Nha Trang and drop the bikes there. All of the bike rental companies that I recommend here can arrange pick up in Danang and drop off in Nha Trang (assuming they are open during Tet, of course). Another possibility is to start from Nha Trang and ride several shorter roads, most of them connecting to each other. For example, Cam Lap, Nui Chua, Dragon’s Graveyard, Burnt Road, River Road. Cheers Tom, I will throw some beer money in your kitty, and sort our accom and bikes through your links. Your guides have been immeasurably helpful and I am truly flabbergasted that you manage to reply to everyone. I know Tet is not ideal but thats the way the cookie has crumbled and we just gotta make the best of it. I will be there a week before the others and intend on doing a loop in the mekong from Ha Tien. Thankyou again for the recommendations. Thanks, Bay. I appreciate that. A loop in the Mekong is good fun – try to take as many back-roads as possible. And the western corner, including Ha Tien, is my favourite part of the region. Maybe you could help me. I’m planning a trip arount north Vietnam in the second hald of February. Route I’m planning to make looks more less like this: Hanoi-Sapa-Dong Van – Ban Gioc – Ha Long – Hanoi. How do you see this trip at this time of the year. Wouldn’t be to cold out there, especially in the mountainous part of Vietnam. Maybe it would be betther to go shouth from Hanoi. Would be thankful for your advice. Yes, it will definitely be a bit cold in the northern mountains at that time of year. During those months the best weather is in the south, particularly anywhere south of Nha Trang – see this guide for more information. But if you do want to do that northern loop then 3 weeks is OK, but remember that travel takes longer in that area because the roads are so mountainous. we plan from 09.01.19 to 16.01.19 a motorbike trip from Saigon, via Mui Ne to Dalat. Possibly also from Dalat to Nah Trang if there is enough time. In order to save time we consider to take the train from Saigon to Mui ne. Or is the route from Saigon to Mui Ne especially recommendable by motorbike? Which part of our route would you call the most beautiful? In your opinion, is one week enough for our plans? In Mui Ne I would like to spend 1-2 nights and in Nha Trang only 1. I know both places, so I know what to expect. I do not know Dalat yet and cannot estimate how many nights I should plan. We have no language barriers, because my friend speaks Vietnamese. Therefore they are also suitable for tips outside the tourist paths. Is it possible to send the motorbike from Dalat back to Saigon by bus? So that the tour could end there? Do you think our plan is too tightly tacked? I’ve been to Vietnam twice, both times much longer. Each time the time went by faster than I thought. But this time I plan to fly all distances. My girlfriend’s never been to Vietnam. Should we therefore plan more time for one of the destinations from your point of view? Yes, that’s enough time for the road trip. I would recommend taking the train from Saigon to Phan Thiet (Mui Ne) then riding up to Dalat, then down to Nha Trang. From Nha Trang you can send your bike back to Saigon. Try contacting any of the bike rental companies I recommend here. They should be able to arrange for you to collect your motorbike in Phan Thiet and drop it back off in Nha Trang. As for the route, from Phan Thiet to Dalat you can take either QL28 or QL28B. However, if you choose to take the latter, be aware of the notorious so-called ‘police trap’ just outside Mui Ne – read the first few paragraphs of this guide to find out where it is and how to avoid it. Then from Dalat to Nha Trang, you can take QL27C. Each of those rides (Phan Thiet-Dalat and Dalat-Nha Trang) are doable in one day, so that gives you enough time to stay in the places you want to. The rest of your itinerary is also doable within your time frame, providing you take flight between all your destinations – Saigon-Phu Quoc, Nha Trang-Saigon, Saigon-Con Dao. All of this is easily done, but you should try to book your flights in advance because you’re on a relatively tight schedule. The only problem you might have is Saigon-Con Dao flights, which are sometimes difficult and expensive to book through the Vietnam Airlines website. All the other flight are operated by Vietnam Airlines and budgets airlines, such as Jetstar, so the flights are frequent and cheap. To get an idea, you can search flights and trains here. I know you’ve heard this many time but really thank you for your blogs, because, even tho my trip to Vietnam isn’t until April next year is already helping so much to understand how many things work, really thanks a lot. What would you suggest would be the best way to spend 2 weeks on a motorbike, while exploring as much as possible of this beautiful country. If you have experience of motorbiking and you are OK spending lots of time in the saddle each day then you can ride HCM to Hanoi in 2 weeks. Take a look at my 5 Suggested Routes for some more ideas. April is a good time of year to ride Vietnam – the weather should be pretty good across the nation. This means that are lots and lots of options for road trips. For example you could do the Ha Giang Loop in the north, or the Golden Loop in central Vietnam, or the Coast Road from the south to the centre. This is Ganesh from India. Very glad to have come across your website http://vietnamcoracle.com. It is mesmerizing to see your blog about vietnam and specially about the ban gioc waterfall..
We are a team of 5 to 8 people (aged 32 to 36) planning to travel to vietnam and combodia from Nov 1st to 18th 2018. All of us are nature lovers and would like to explore Vietnam in the best possible way with expert opinions like you. We do not have much idea on how the weather will be during November and the best places to cover but as much with googling around , we have thought through trying to cover Northern and southern vietnam (couple of places each ) in 9 to 10 days with the following places of interest. We reach Hanoi airport on 2nd Nov morning. (We can change this to reach Hanoi by 1st Nov morning if its worth to come one day earlier). 1. Can we possibly start from Hanoi airport directly to ban giac waterfall and stay overnight there and then next day, visit the waterfall and cave and move to ba be lake ? how long will it take by car to reach ban gioc waterfall from hanoi airport through taxi , is it possible or will be very strenuos ? 2. Is it possible to cover the above mentioned places in 10 days ? Can you suggest any other better places of visit than the above list .Any additions / modifications/ deletions in our list that we can make to make the trip worthwhile? Sorry for this very long comment and thanks in advance for your time and help. Your itinerary is fine but it is a lot to do in just 10 days. I recommend getting to Hanoi a day earlier and leaving the Mekong Delta off your list – this gives you two extra days to play with. The weather is November is OK, but it might be getting cooler and misty in the north. The central provinces, including Nha Trang usually experience their wettest weather in November. You could arrange a car from Hanoi airport to Ban Gioc but it is a long way – about 8 hours. Instead, I would recommend going to Ninh Binh and Halong Bay first – these are easy trips from Hanoi. Then going to Ba Be Lake from Hanoi, then Ban Gioc and back to Hanoi. Then you can fly down to Nha Trang. What an amazing site. I’m looking to visit Vietnam next summer for 4 – 5 weeks with my family (wife and 2 boys aged 9 & 11) and plan to travel North to South. I’ve been looking at several sites and books but this one is the most informative and genuine of them all. Whilst we plan to visit some of the main attractions and sites, we also like a little bit of adventure and it seems like hiring motorbikes is the best way to get out and about and see the real side of Vietnam. Would you recommend this with young children? Obviously not in Hanoi or Saigon! Any other tips for traveling around Vietnam with kids? Yes, you definitely do get to see a side of Vietnam on a motorbike that you never would be any other means (except bicycle). But with young children you’d have to be extremely careful. I think perhaps it would be best to look into riding pillion (you can do this through some of the rental companies I mention here and also look up Easy Riders) in two areas that you’ll be travelling through: Hoi An/Hue and Dalat. At the former you could ride the Hai Van Pass, and at the later there are lots of routes, including the Pine Tree Road or riding out to one of the waterfalls. Then, after these experiences riding pillion, you can try renting your own bike on Phu Quoc Island and riding around the beaches – you can read more about that here and here. Wow! Wonderful , information-packed and professionally designed website! I live in Thailand and plan to venture into Vietnam after the rainy season. Thank you for all the hard work you put into this site! Safe travels! Thanks, Robert. I’m happy to hear you like my site. And I hope you enjoy your trip to Vietnam. In June I got the eight or so hour bus from Hanoi to Ha Giang, from where I did the Extreme North Loop, which I connected to the Pastoral Pathways: The Northeast Motorbike Loop, back to Ha Giang, then the Borders & Back-Roads: Sapa to Ha Giang, and the ‘Sapa-Sin Ho Scenic Motorbike Loop’, then back to Ha Giang. For the entire trip (20 days), printed out copies of the routes and descriptions from Vietnam Coracle were all I had to guide me (together with google maps on my phone). I was so impressed with the accuracy of the routes and details included! It made the trip so so easy, and thus more enjoyable. The extreme north loop definitely had the most dramatic scenery, but as a result was also the area busiest with other tourists doing the same route. Thank you so much Tom for the articles you write! Thanks for your comment, it’s really great to hear that you enjoyed your trip and that my guides helped you out along the way. I hope you find a similar resource in Thailand – there must be one out there somewhere. 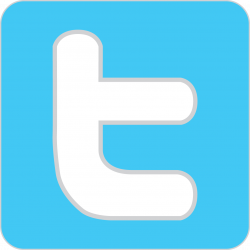 Great site — could I get your opinion on an existential question: guide or no guide? I have a small chunk of time, August 17 – 26th, and have booked a flight to Hanoi. Want to get on a bike and do some exploring. Was in Hoi Ann last year, did a one day ride on a dirt bike — it was awesome: little trials through rice paddies, over the hills, through the dales, etc. Want more of that. Generally I never travel with a guide, but had the impression if I were to try to do that myself, I’d just get lost, fall in a creek, and be eaten by a water buffalo. Haven’t had/wont have the time to do much research, but thinking maybe something along the lines of your High Roads post. Have been going back and forth with some guides I found through google, but a bit hesitant to make a commitment over the internet. What do you think — can you get off the main roads and out in the country by yourself? Or is it better to have someone who knows where they are going? If you vote guide, think you need to book ahead? Or could I just show up in Hanoi and find some one? Final question — got any guides/companies you recommend? PS. If anyone else is looking at doing something similar in the same time frame, happy to team up. Yes, you can do it on your own, and the High Roads region is a good place to do it – there are lots of enticing dirt paths into the mountains there. But obviously it’s more dangerous to do it alone and without a guide. You’d also need to make sure you have a smart phone with a local SIM and data. Try to get a Viettel SIM because they get best coverage in the mountains. However, if you go with a guide they will know all the best off-road routes. You can check out the bike companies I mention here and also Cuong’s Motorbike Adventures. What a great resource. Thanks for sharing so much great info. I am headed to Vietnam for the first time in September. We are planning to do your harvest route on a motorbike. We also want to visit Ha long Bay, do you have any suggestions for that area I couldn’t find any on your site. Yes, I haven’t written anything about Halong Bay on this site. This is partly because it’s difficult to get away from the crowds in Halong Bay. I would recommend exploring Cat Ba Island and Bai Tu Long Bay. Hey Tom, as usual, I’m an avid reader of this blog. What I’d like to see is a map with regions, where I can click on and get articles for the selected one. If I’m in a place and don’t know what there is around and don’t even know what to search, this would make a wonderful, helpful addition. Thanks for your suggestion. Yes, I totally agree, and I’ve been developing an app which will work just like that. However, it’s a long process – I’ve already been working on it for a year. I don’t know exactly when it will be finished, but I desperately want to do it so I’m putting the hours in. Thank you so much for your informative website its helped us loads. We had a month to ride from the south to the north, but we have stayed in places longer than we should of, so we was just wondering, can we get a train an put our bikes on the same train? We was thinking from Hue to Ninh Binh, or just Hue to as far north as the train goes? Yes, you can put your bikes on the train, but in the vast majority of cases, your bike will travel on a separate train to you and usually takes between 1-3 days to arrive at its destination. The two exceptions to this are the Saigon-Phan Thiet and the Hanoi-Lao Cai (Sapa) routes. I’ve also written in details about sending your bike on the train here. thanks for the reply, ok ill check them. do you know any other way to get the bikes up but stay with us, as we are on a tight schedule now 🙁 and wouldn’t wanna loose some days waiting for the bikes to arrive? You might find that some of the bus companies allow motorbike carriage – it’s a good idea to ask about that at your hotel, they might have some more information about it. We are students currently working 6 months in Hong Kong, and in August, at the end of our training, we want to go to Vietnam for around 10 days for a trip, probably on a motorbike. 10 days is a very short period of time, and we have no idea wether we should visit south, north or go from south to north with one of the road you advise on your website. There are so many possibilities for only 10 days, and we were wondering if you could give us some recommendations on where to go and what to do for our trip on motorbike. Some people told us that for 10 days, we should definitely stay in the north. Thank you in advance for your answer, and bravo for this amazing website you created ! 10 days isn’t enough time to ride the length of the country, so it’s best to concentrate on a particular area instead. I would suggest a road trip either in the north or central Vietnam. At that time of year the weather will be hot and humid with regular tropical downpours: this can sometimes cause landslides (especially in the north) which can block some of the more mountainous roads for hours or even days. So bear this in mind and try to be as flexible as possible with your itinerary. In the north, think about the Ha Giang Extreme North Loop, Borders & Back-Roads, and the two Sapa loops: Y Ty and Sin Ho. You could combine these or do them separately. Alternatively, the Golden Loop in central Vietnam is also very scenic and relatively easy to follow and ride compared to some of the northern loops. You can also extend the Golden Loop by continuing on the Ho Chi Minh Road from A Luoi to Khe Sanh and Phong Nha (see sections 4-5 of this guide), and then heading back down the coast on the Tomb Rider route. These are all great rides that you can consider for a 10 day road trip to Vietnam. Thank you so much, we think we will do as you advised us on the northern loop, looks really scenic with some nice mountain roads! We will buy our motorbikes in Hanoi for the trip, and then sell them back in the end. Do you know how much time it takes to buy and sell the bike ? Can it be done in 1 or 2 days? And do you have any adress to give us where we will find some cheap but reliable bikes ? Sorry for all these questions, hope it doesn’t take too much of your time. Yes, about 1 or 2 days. But I would strongly recommend renting instead of buying – it’s much more convenient, reliable, and easier. I’ve written more about it here. Thank you very much for all your help! Will be in VN next week. When passing through between Nha Trang to Vung Tau on previous rides, I saw so many beautiful deserted beaches and wanted to spend time there. What are your thoughts about safety when spending time during the day at one of the deserted beaches along the Coast Road or Ocean Road or other areas further north? I would be alone with just my motorbike, a bit of shade, and some food/drinks bought locally. I think it should be fine but wanted your opinion/experience. Yes, you should be fine visiting those beaches on the Coast Road. Just try to leave your motorbike somewhere that you can always see it, or make sure you lock the wheel. When swimming don’t leave your valuables out of sight etc. But I’ve never had any problems with theft on the beaches – that mostly happens on touristy beaches, such as Nha Trang and Mui Ne. So me and a friend have finally got dates and tickets and all the skittles in line for a 3 week tour of Vietnam. We have settled on the Classic as a route as it seems to cover everything we want to see, with perhaps the exception of the Halong Bay area, but you cant have everything. Where can I get detail of the exact route you recommend please. The roads names and or numbers etc. The route map is here. To follow it precisely when you are on the road you can upload the map to maps.me on your phone. To do this follow these steps: open this map, click the three vertical dots next to the map title, click the option ‘Export to KML’, then upload the KML file to the maps.me app. Then you can follow The Classic route map on your phone when you are offline on the road. Hi, my name is Seb and I arrived in Vietnam about 5 days ago and have spent some time in Hanoi, Ha long and the a bit of time in Cat Ba. The weather at the moment is pretty bad, raining a lot and not really sunny. I am think about heading south for some sunshine. Where would you recommend going from Ha Long, I have my own motorbike so anywhere is a possibility. I was talking to a friend and they recommended this page and I can see why, it’s amazing! Keep up the good work. Thanks a lot. Sorry to hear that the weather isn’t good at the moment. If you’re planning to head south then I would ride due south-west to connect up with the Ho Chi Minh Road somewhere around Cam Thuy, Ngoc Lac or Lam Son, and then follow it down to Phong Nha. You can read more about the Ho Chi Minh Road in this guide (although you’ll have to follow it backwards because it’s written from south to north). Unfortunately, the ride from Cat Ba via Hai Phong and Ninh Binh to get to the Ho Chi Minh Road isn’t that great, but it should only take a day. My name is Kyubo Kim. I reserved your resort through http://www.agoda.com few days ago. We scheduled to stay for 2 days from May 25 th to 27 th . But due to the change of my flight schedule, I’d like to change the date. So I am wondering whether I can change just one day behind schedule from May 26 th to 28 th. Actually I checked through http://www.agoda.com, and I understood the fact that I have to charge a fee for change. According to this Web site, We have to charge a fee about 140 dollars more. I cannot accept excessive fee that more than the original bill. Could I get a good way to stay your resort without excessive fee ? I’m sorry to hear about that. I do not have a resort – I write independent reviews of resorts, but I have nothing to do with the management or ownership of any accommodations in Vietnam. I do not personally oversee reservations that are made through my webiste – it’s all through Agoda. I suggest that you contact the accommodation directly and explain your situation to them. Maybe they can work it out for you. Sometimes with bookings on Agoda there’s a free cancellation policy, but sometimes there’s a charge for cancellation. Tom, thank you thank you thank you for all the knowledge and experience you impart! We are halfway through our HCMC to Hanoi journey in Hoi An for few days and looking ahead to the north. I’m thinking of putting our bikes onto the train from Hanoi to Lao Cai, motorbike journeying to Dong Dang and returning to Hanoi by train. These were the two most northern destinations I found on tre Vietnam Train website. I have combed through your trip descriptions of the various Northern loops and am wondering what are the highlights we should definitely hit in 7+ days. The Ha Giang Loop, Ba Be Lake and Ban Gioc Waterfall are the highlights on that northern loop, unless you also want to add the Sapa-Sin Ho Loop, which is west of Sapa. Bear in mind, however, that riding is quite slow in those northern mountains – partly because of winding roads, but partly because of unpredictable road conditions: 7 days is a relatively short time to do it in; but also very doable. Thanks for such a great site! A wonderful find. Now, I am trying to plan a trip to Vietnam with my partner where the bulk of our time would be spent at Phu Quoc. My plan was to fly LHR to HCMC – stay there for 2 nights and then fly from there to Phu Quoc. We would spend 10 nights there but wanted to include a trip to Siem Reep. I am unsure as to most cost effective way of doing this i.e. do I book a return flight from LHR to Phu Quoc that includes flights or do I do a round trip flight with hotel to HCHC and book hotel accommodation separately? With doing a trip to Siem Reep from Phu Quoc – we thought the easiest way would be to fly there. Could this be done with 1 night’s accommodation? I guess trying to figure out what is the best route to do this….should we fly straight to Phu Quoc and then do the tours to HCHC and then from Phu Quoc do a tour to Siem Reep? Thanks so much for your advice! I don’t know if you can flight directly between Phu Quoc and Siem Reap yet, but it’s quite possible you can, so check that out. If not, you can flight easily between Saigon and Siem Reap and Saigon and Phu Quoc. There are regular flights and a few airlines doing it so prices are fairly low. I would book your flights separately, and then book your hotels. As for which way round to do it: I think it depends if you want to relax by the beach at the beginning or the end of your trip. I’m an Asian-American from New York and I’ve done several motorbike trips (Saigon to Nha Trang, Dalata, Bao Loc, and points in between) with my VN girlfriend before I stumbled onto your site a few years ago! And you described them well – exactly as I had experienced them. During those rides I dreamed of camping and stopping for extended stays at remote beaches and mountain lakes that we passed but I never had enough time to do so. I finally have the opportunity now and plan to move to VN for 5-6 months (maybe longer!) this Spring to explore business opportunities, property, and of course, take long bike trips! Besides the train, are there any bus companies that can ship my bike to Danang or even to Hanoi? Or back to Saigon? I’d rather do a one-way trip combined with a flight. I’ve shipped the bike from Nha Trang back to Saigon a couple of times already in the past but not sure if other cities are possible (girlfriend made it seem there were no other cities a few years ago). Oh, and the reason I ask is that I’m on my own now. Please keep up the great work. I share exactly the same fondness for Vietnam that you do. Despite having traveled to many places around the world, my favorite is always Vietnam. I think there are some bus companies that allow you to ship your bike on certain routes. But the train is pretty easy and convenient and you can ship the bike between most major cities along the main line between Saigon and Hanoi. I’ve written a guide about sending your bike by train here. However, there’s no need to ship your bike back to your departure point because lots of motorbike rental companies now offer one-way rental: you pick the bike up somewhere and return it somewhere else. Check the recommended rental companies at the bottom of all my pages for more details. First of all, your blog is absolutely amazing. Thank you, thank you! My BF and I are riding from South to North in May and we’ve got 4 weeks. Below is the places that I’d ideally love to stop at, and I’m just wondering if there would be any logistical issues or timing issues. I understand it may be a bit of a stretch to include all of Sapa and Ban Gioc Falls and Halong/Cat Ba, and I’m also not sure where would would start / end from there. Anyway, heres a list of where we’d like to stop. Any info is greatly appreciated! Oops. Instead of Cat Ba I meant Bai Tu Long. Think I’d prefer that instead of Halong Bay as it seems quieter . May is a pretty good time of year to travel south to north – the weather should be fairly similar across the country: hot, humid and sunny with regular tropical downpours. Yes, it probably will be a stretch to fit all that into 4 weeks. I think you should take it as it comes and make decisions about the north (Sapa, Ban Gioc, Halong) as you get closer to Hanoi. For example, by the time you get to Phong Nha you will have a much better idea about how far you can/want to travel in a day on your motorbike, and, based on that, whether you want/have time to go to the far north. Because you will be on motorbikes, this gives you the flexibility and freedom to change your plans as you go. Between Saigon and Hanoi it looks like you will be following the Beach Bum route. This is 2,050km long which means if you keep an average daily distance of between 100-150km you will be able to comfortably complete it in 15-20 days, depending on how many places you stop at for more than one night. This would leave you about 10 days to travel the northern destinations. I think you need to cut out at least one of your northern destinations. Ban Gioc Waterfall is very beautiful, but it is a long way to go just for one sight. Sapa town is very touristy, but there are some great motorbike loops starting and ending from the town – see this and this. Also, you can put your bikes on the train from Hanoi to Sapa and Sapa to Hanoi (your bike travels on the same train as you do, so it’s very convenient). The problem with Halong Bay in general (whichever part you choose to visit), it that the ride there is not very nice. It’s probably a better idea to take a tour from Hanoi for a couple of nights to Halong Bay instead of riding there yourself. Thanks for trying to book your accommodation through the Agoda links on my site, I really appreciate it. Only have one thing to say about your website: “AWESOME”. Actually one more thing: thanks for all this load of informations which help me so much in organizing my trips. I have all my all camping gear ! Trying to achieve some seclusion. I was just in that region and although I didn’t see any dedicated camping grounds, there were plenty of places that would have been suitable for camping. Especially on the smaller roads. But there’s not much tree cover and it’s quite densely farmed. Try the pine forests at the top of the pass before descending into Yen Minh, or between Meo Vac and Khau Vai, or between Mau Due and Du Gia (see my Ha Giang Map). But make sure you are discreet because those areas are border territory are authorities can be particularly sensitive about foreigners being near the borders. Remember that it will be quite cold at nights at this time of year. In one word your site is wonderful. In three words it is extremely wonderful and helpful Thank you so much for taking the time to write this wealth of information written so well and in so much detail. Incredible!!! ABOUT US: Couple with 130 years of combined life experience (hahaha). I 85 kg and 184 cm and my wife 65kg and 168cm. Zero riding experience not even as a back rider. I am left leg amputee above the knee. My wife is rushing now to get her licence up to 125cc. PLAN: Arriving at Ho Chi Minh at 20/12/2017. Travel for 7 weeks and return the motorbike at Hanoi. 1.Which automatic or semi-automatic bike would you recommend? What company in Ho Chi Minh would you recommend so we can return the bike in Hanoi. 2. Bothers me how could be the sitting in the back with my prosthesis? Do you have any experience on this issue? Should I tie the prosthesis shoe to the leg support so it will not slip? 3. Considering our lack of experience any comment about riding the first time in Vietnam? *I posted the same questions about an hour ago but the entire post disappeared so I wrote i again. If for some reason it will appear twice my apologies. With 7 weeks on the road you should have plenty of time to get used to riding a motorbike in Vietnam. However, you should be extremely careful on the roads, especially in big cities. Unfortunately, by far the busiest part of any north-south route is leaving Hanoi. But after the first day, the traffic will be much lighter and you should start to feel more and more confident and comfortable on the roads. It terms of weight, the bike should be able to handle it fine, as long as it’s in good condition. Automatics are easier to ride for a first timer because there are no gears and no foot brake. But if you are used to driving a manual car then perhaps you will feel more at home with a manual motorbike. Take a look at the recommended and trusted bike rental companies listed in the right sidebar and bottom of this page (and every page of my website). Try contacting any of them – Flamingo, Dragon Bikes, Tigit, Rent a Bike and looking at the kind of bikes they have. You can mention Vietnam Coracle if you like, they know me. Age shouldn’t be a problem either – my parents are in their 70s and they come on road trips with me every year. But again, don’t underestimate the danger of Vietnam’s roads – take it very slowly and carefully. You might feel quite vulnerable for the first couple of days, but providing you stay safe, you will start feeling much better after that. Riding pillion with a prosthetic leg could be an issue, but I’m sure you are used to making adjustments for specific situations. You might be interested to watch a recent BBC program about a group of physically challenged people riding and driving across Vietnam – you can watch it here. I think if you are not interested in beaches and you are first time riders you should consider the Uncle Ho’s Road route, and maybe combine it with the Classic and the Easy Rider routes once you are south of Hue for some variety. This is because these routes are relatively easy to follow and spend most of the time on the Ho Chi Minh Road which is generally less busy. Remember that December/January can be quite cold and bleak in many areas from Hue to Hanoi. South of Nha Trang the weather should be good at that time of year. with great pleasure to support your project which helps so much to plan a trip in Vietnam. Thank you very much for your donation, I really appreciate it. I hope you enjoy planning your Vietnam trip. Hi Tom, your website makes for fabulous reading, helpful insights and practical information. Also – do you know if many/any families use the motor cycle services (easy riders etc.) with children – would so love to experience a day trip in this way. It’s difficult to say with any certainty – the north is very scenic indeed, but visibility year round (not just the winter) is a problem, especially in places like Sapa. But yes, December/January would definitely be a bit cold. I would recommend Ha Giang over Sapa anyway. In particular, riding or driving the Extreme North Loop. I suggest you contact QT Motorbikes and ask them for more information about weather at that time of year and the possibility of riding pillion as a family – they are an excellent company and should be able to assist you. In Dalat, the Easy Riders specialize in taking passengers on the backs of motorbikes all around the country. I’m sure it’s possible as a family too. But you’d need to Google around a bit to find out which ‘Easy Rider’ company to go with, as there are now quite a few competing ones. Another possibility might be contacting Tigit Motorbikes because I think they’ve started to do pillion tours too. Hey Tom, a really well put together website. Thanks for the great effort. I’ll be in HCMC for a month, 15 Nov-14 Dec. Partly to dance Argentine Tango, (there is a small tango event there on the 24th-27th or thereabouts.) and the rest is just to get to know a little of the culture. I’m really going to enjoy your food recommendations, and get into a bit of yoga and taichi, if I find a good teacher. After that I’ve got a couple of weeks to travel. Motorbike sounds good, (The Classic) but what could you recommend re, second hand or rentals. I read some of some shonky goings-on with the rentals. And I’d be happy to buy you a beer while I’m there! Sounds like an interesting time in HCMC in prospect! For bike rental I recommend using one of the trusted companies listed in the right sidebar and bottom of this page (and every page) of my website. Flamingo, Dragon Bikes, Tigit, Rent a Bike are all good, reliable companies. You can mention Vietnam Coracle if you like, they know me. It’s much better renting from these companies than randomly buying or renting from someone in the backpacker area of Saigon, because you never know what the quality of the bike will be. I’d love to have a beer, but as I move around a lot, I’m never sure where I’ll be from one week to the next. Amazing website! Very inspirational, I am putting together a solotrip on motorbike and everything here is very helpfull and makes me want to go NOW!!! Good to hear that you will be doing a solo road trip in Vietnam soon and that my site is whetting your appetite. Hi Tom, your site is amazing, and much appreciated! I have booked my hotels via your Agoda link. We plan to spend Jan 9-12,2018 on Phu Quoc, and are trying to decide on Dong Duong vs. Ganh Dau (Peppercorn Beach Resort) vs Ong Lang. We are a family of mom, dad and 2 college age sons, and looking for a mix of exploring town/food and relaxing the beach (prefer quieter less crowded beaches….). What would you recommend–is the Peppercorn too isolated? Is Dong Duong too busy? Thank you for booking through my site, I really appreciate it. I think Ong Lang might suit you best. This is because Peppercorn is probably just a bit too isolated, and Dong Duong (Long Beach) is probably a bit too busy. But at Ong Lang, which is in the middle of Peppercorn and Dong Duong, the beach is quiet but you are only a 10 minute taxi ride away from Dong Duong town, and a 15-20 ride away from Ganh Dau. Also, Ong Lang has a small community of resorts and restaurants so you’re not too isolated. I can’t recommend a specific bike rental company in Dalat but it shouldn’t be hard to find a bike to rent there – you could start by inquiring at your accommodation in Dalat or perhaps try contacting Phat Tire Ventures. If you do find a specific rental company, please let me know. Thanks for your previous advice. My wife and I are UK citizens travelling to Vietnam for 11 days as tourists on 25th October 2017 (we will be flying in from China which we are first visiting). Could you please advise us if we need a tourist visa for Vietnam ? I think UK citizens are exempt for stays of 15 days or less, but visa regulations change regularly so it’s very difficult to keep abreast of them. I therefore can’t say with any certainty. You should try to check with an embassy or consulate in China before you arrive in Vietnam, and consult as many sources as possible. Many thanks for your prompt and helpful reply. Could you please let us know during the last week of October ; is there a prevailing direction of onshore wind on the island ? I’m not certain about wind direction. October is the tail end of the rainy season – still low season on Phu Quoc – so you may find that the winds are still strong. Sao will probably be more sheltered at that time of year. Well done on your website – really good information ! 6 of us from UK are going to Phu Quoc for 10 days on 26th October, mainly to relax, snorkel and explore the island. Are there any beaches which are good for snorkelling from? We would like to stay at a beach side hotel for 5 days and then (for change of scenery) another beach location for 5 days. Are there any beaches / hotels you might recommend (mid range price) ? Snorkeling is not bad on Ganh Dau beach and Vung Bau beach. But you can also easily arrange snorkeling trips on a boat from your accommodation – there are a few tiny islets and reefs that can easily be reached by boat. So perhaps spend 5 of nights on Ganh Dau and the other 5 on Vung Bau or Ong Lang. 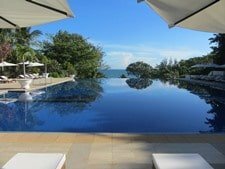 I’ve included some of my picks for accommodation on those beaches in my Phu Quoc Beaches Guide – take a look and see if you like any of them. If you’re planning to book your accommodation online, please consider doing it through my website – more info about that here. Wow just found your site and am blown away by your love for Vietnam and the resulting details. I was so impressed at your generosity I also made a small donation. I am having my first holiday adventure and break away from raising children alone in TEN years…. so am SO excited and thrilled to have chosen Vietnam. The only barrier is my trip is only ten days. I love the beauty of the natural lands and water ways and would like to just absorb village life as well as spend a few days in a lovely beach side resort style place…. not much of a city girl and def do not want to visit any war sites out of respect. Was wondering what itinerary you could recommend that would take in all of this outside Ho Chin Minh (where I land and depart) up to Ho An . I would like to be in Ho An for the lantern festival on the 4 and then probably fly back for my flight on the 6th. Any light you can shed would be appreciated! Also because of diabetes I cant eat sugar and see that so much of the food contains sugar… do you know any meals that definitely dont contain sugar? Yes, there is a lot of sugar in many Vietnamese dishes, so this might be a problem. ‘không đường’ means ‘no sugar’, but you should also find out how to stay ‘diabetes’ in Vietnamese too. In hotels etc it shouldn’t be hard for them to deal with this, but with street food you might find it more difficult. There are many places to visit along the coast between Saigon and Hoi An: the popular destinations from south to north are Mui Ne and Nha Trang. These are good places and easy for transport. But if you want something a little less touristy, try Ho Tram, Cam Lap, and Quy Nhon, which are all lovely. I hope this helps get you started planning an itinerary. Can you recommend any reputable companies in HCMC that offer motorbike tours? I’ve never ridden before and want to make sure I’m in safe hands! So I will be sitting in the pillion seat. Would very much like to do the HCMC to Dalat tour – is it best in 3 or 4 days? You could try contacting Flamingo Travel or even Vespa Adventures – I think they would both be able to organize a tailored road trip to Dalat. Firstly, this site is a wealth of knowledge. Thank you! I am trying to get a last minute Typhoid shot but it is pretty difficult and expensive in the US. 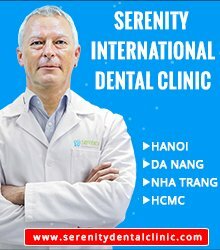 Any experience getting vaccines or malaria meds in Saigon? Also, I love the bike box. Any suggestions on a bigger one or saddle bag style ones? I would like to lock my stuff up but since there will be 2 of us I think one box will be a bit small. Cheers! Yes, I’m sure you could get the typhoid shot in Saigon, but you’d do it through an international hospital so it might work out fairly expensive anyway. Try contacting Victoria Healthcare in Saigon and asking them – I’ve had good experiences with them. GIVI has an office in Saigon and they can fix back and side boxes to your bike if you want. The address is 480 Nguyen Chi Thanh Street, District 10. Also many of the rental places offer some kind of saddle bags or boxes or racks. I was hoping for some advice. Me and about 5 mates are looking at doing a bit of a road trip in Jan for about a week of riding. We are thinking of riding from HCMC to Nha Trang and back. Taking the Coast there and then going via Dalat on the way back using the ‘back ways’. We have all ridden motorbikes previously (In Australia) but none of us in Vietnam. Is this achievable? too ambitious? would there be something better to see during this time? Also is there anywhere where you could recommend are a must see along this route? As we are only there for a short time I don’t think that budget will be a problem, just time! For more on Cam Ranh see this. Hi Tom, glad i stumbled across your site! Right back to basis. Me and a friend or two are looking at dong a motorbiking tour likely mid 2018. Apologies if you have addressed this elsewhere else, but what is required in the way of a motorbike license? I hear you don’t NEED one, but if we’re involved in an accident there could be trouble. Plus no insurance. Can you expand on this or confirm? We definitely want a license for insurance purposes but unsure how to get this from New Zealand? Thanks heaps. Yes, a license is legally required, but in reality most foreigners riding motorbikes in Vietnam do not have one. However, the traffic police are getting stricter these days. In general, if you get stopped you will just have to pay a regular ‘fine’ (bribe) of around $10-$20. But in some rare cases, and in some ‘hotspots’, the police may impound your bike. Also, no travel insurance will cover you without a license. I think it is the case now that international driving licenses are accepted (you can apply for this in your home country). You can also convert your driving license from your home country to a Vietnamese license fairly easily in Saigon. However, the process usually takes at least a few days. I’m not sure if it’s possible to do all this from abroad. You’re best bet is to contact some of the reputable motorbike rental companies here in Vietnam (who you should be contacting anyway to get your motorbike) and asking them for more details on the license situation. Try contacting Rent a Bike Vietnam, Tigit Motorbikes, Style Motorbikes, and Flamingo – they are all reliable companies. There are links to all of them in the right sidebar and bottom of all my pages. You can mention Vietnam Coracle if you like, they know me. Hi, So we coming for a wedding to Vietnam in Hoi An to a beach resort Sunrise Premium on the 23rd of Feb 2018. Few of us want to branch out after that and do a biking tour. Can you suggest what would be a good option to go from Hoi An to Ho Chi Minh. We love the mountains ,quite small villages and towns and the beaches and have approx 6 days to spare. Since we first landing at Hanoi and taking the Halong bay cruise before the wedding thats why we wanted to go towards Ho chi Minh. Also if few do not ride is hiring cars an option. Do you have a link to your on your page so that we could give you that business. Also Qudos on writing this Blog, its great and so informative. Great to hear you will be coming to Vietnam next year. From Hoi An down to Ho Chi Minh I would suggest going inland (west) from Hoi An into the mountains on road QL14B to Thanh My. Then turning south on the Ho Chi Minh Road (AH17) all the way to Pleiku (see sections 2 and 3 of this guide for details). Then head back to the coast (due east) on road QL19 to Quy Nhon. From here turn south on Highway QL1A along the coast to Chi Thanh before joining smaller coast roads all the way to Dai Lanh Beach and rejoining Highway QL1A to Nha Trang. Then follow the Ocean Road all the way back to Ho Chi Minh City (for a map and links to more information about the coastal roads between Quy Nhon and Ho Chi Minh take a look at the map in my Beach Bum route and click the map links to my relevant guides). I’m not sure if foreigners are allowed to drive rental cars in Vietnam yet – you can check with the rental companies. If you’re planning to go by motorbike then Tigit Motorbikes, Rent a Bike Vietnam, and Style Motorbikes all have shops in Danang (next to Hoi An): you can rent bikes from any of them and give them back in Ho Chi Minh. There are links to all three rental companies in the right sidebar and bottom of all my pages. You can mention Vietnam Coracle if you like, they know me. 1) how should we get from Hanoi to Ha Giang? Should we use the bikes we get from tiggit and ride up, or just rent bikes for Ha Giand and Northeast loops and then pickup the tiggit bikes when we get back to Hanoi to head south? 2) Your “the big one” route is written assuming th eraser is traveling south to north, I assume it would be easy enough to do the same ride from north to south? Thanks in advance and if you have any other suggestions we’d greatly appreciate it! Yes, I think it makes sense to ride north to south at that time of year. There’s no problem riding The Big One ‘backwards’. I think you should rent your bikes from Tigit in Hanoi and ride them to Ha Giang and do the full loop, via the Northeast, back to Hanoi, because if you rent from Ha Giang you’ll have to return the bike back to Ha Giang after. Tigit may be able to transport your bikes from Hanoi to Ha Giang (for a fee, of course), but that would be well worth it. Any option might be to put your Tigit bike on the night bus from Hanoi to Ha Giang – however, I’ve never done this myself; other readers have mentioned it in the past. Please note that road conditions on the Northeast Loop are notoriously unpredictable: you should bear this in mind when estimating time etc. In particularly, there have been very bad reports about the road along the Chinese border behind Ban Gioc waterfall – it’s best to avoid it. I will be riding the north for 2 months this autumn so look out for updates on my site for all those routes. Your site and writing are superb and inspiring! Just as I have a question you seem to answer it or provide new ideas. It’s been more than 10 years since I’ve been to Vietnam and I plan to visit in August (hot and wet I know). I will be spending a good portion of the time in and around Hanoi and the north (per your suggestions). I was hoping to have a few solid days of beach R&R. Phu Quoc is unlikely but I thought I’d monitor the weather just in case it provides a few clear days. What would be your top beach recommendations for end of August? Binh dinh is what I gathered from your site—is it accessible from Hoi An? I’m in love with Mango Bay on Phu Quoc and am hoping to find something similar (fingers crossed more affordable;). If you can spare a moment to add or confirm, I’d greatly appreciate it. Thank you for sharing your experiences and knowledge with the world! Yes, Quy Nhon would be a good option, or just stay on Cua Dai or An Bang beach near Hoi An. There are plenty of places to stay on the beach near Hoi An. On the beaches south of Quy Nhon there isn’t as much choice but it’s a wonderful area. I’ve written briefly about it here. You can reach Quy Nhon by bus or train from Hoi An pretty easily. You might also consider Cam Lap Promontory, just south of Nha Trang – it’s a superb beach area. Great and helpful site for my up coming trip to Vietnam . 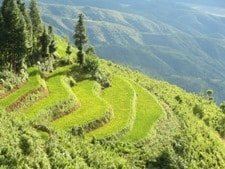 What month did you ride the Ha Giang Extreme North Motorbike Loop , weather looks good clear sky,s , but yellow rice terraces , i would like to visit them when the terraces are green . The rice terraces should be green before September as this is nearly harvest time. Go in the spring or summer months for green rice terraces. Hey mate. I’ve previously traveled around SE on my own bike using a carnet, however never made it into Vietnam. Either way, I’ve managed to get some time off so with almost zero planning I’m flying into HCMC very early this Saturday, and back out on Sunday, 8 days later. My plan is to rent a dirt bike for the entire time. From what i can see my options are either fly directly up to Hanoi and do a loop north of there, perhaps along your northeast or extreme north trails, or do some sort of loop that starts and finishes in HCMC. What would you do? To give you an idea of what I am after, I’m pretty keen to get off the beaten track, without the hassle of getting covered in mud each day. Well, road conditions are better in the south so there’s less chance of getting covered in mud, but the scenery is bigger and better in the north, although the road conditions are sometimes not quite as good – but this shouldn’t matter if you have a dirt bike. So I suggest going up to Hanoi and doing one of the northern loops. The Ha Giang Extreme North Loop has better road conditions than the Northeast Loop, but the latter is more off the beaten track. For renting dirt bikes from Hanoi, try Style Motorbikes, Tigit Motorbikes, and Rent a Bike Vietnam – there are links to all three of them in the right sidebar and bottom of all my pages. Thanks mate – I’ll send through a paypal donation so you can keep this up! Thanks, Andrew. I really appreciate that! Amazing website! So helpful and inspiring. I’m just starting to put together a decent little plan and thought I would ask your advice. I will be coming in mid June and would like to start in either Hanoi or HCM and do your suggested Classic route. I’d also like to add in Sapa/Northern area for about 5-6 days. I’m thinking 3 weeks for the classic and add the Sapa route. Would you recommend this? Does it really matter which city I start or finish in? I’m thinking I’d like to end in Hanoi so that Sapa is my last big thing before I leave. What do you suggest as far as getting the bike back to Hanoi? Putting it on a train or riding back? I’ve read conflicting things about the route and as I will be doing Hanoi to Sapa by motorbike – I don’t know if time or interest would allow me to return the same way. Any tips on the route or getting the motorbike back from the Sapa area? Thanks! Yes, that sounds like a suitable itinerary and a decent time frame in which to complete it. At that time of year it doesn’t really matter which way you do it, because the weather conditions are pretty similar across the country during June/July – hot and humid with tropical downpours. Yes, it’s a good idea to ride up to Sapa and then put your bike on the train for the return journey to Hanoi. The ride up to Hanoi is long, mountainous and beautiful, but getting in or out of Hanoi can be pretty grim. To get to Sapa from the Classic Route you could branch west off the Ho Chi Minh Road at Ngoc Lac (the beginning of the Limestone Loop) and follow road QL15 until it joins QL6 towards Son La. Then follow this all the way northwest until eventually linking up with my Sin Ho Loop and Sapa. Amazingly helpful blog. Thank you so much for sharing. Quick question regarding the Golden Loop. If you can extend that trip to a total of 6 days what would you recommend? I suppose the last option might give you the most experience, really curious what you would recommend. Well, you don’t have much choice for stops between Prao and A Luoi, because there are no towns between the two of them. So you could spend an extra day in each of those places if you like – both of them are interesting, scenic and relatively remote off-the-beaten-path little towns. Other than that, you could stay an extra night in Hue – there’s lots to see in that city – and maybe spend a night on the beach on Thuan An Peninsular, or the lagoon south of Hue, or Lang Co. Also, Danang is a very interesting up-and-coming city these days, and then of course there’s Hoi An. we just came back from a 2,5 weeks trip through Vietnam and I want to say thank you very much for the helpful information at your blog here! Especially the hotels you recommended for Hanoi and HCMC were first choice as well as the beach resort in Ho Tram. Please continue the blog, your experiences are highly appreciated! Me and My friend are really looking forward on doing the beach bum ride, but when we got to Vietnam we noticed that we could only visit for 15 days. Do you have any idea if there is a way to get a visa when you are already in Vietnam for one month? Or if the only way is to take the “voa” (visa on arrival)? Thank you for all the guides! They are really appreciated! My knowledge of visas is limited because I receive an annual multiple entry visa as I have a work permit. I suggest you search the Expats Ho Chi Minh Facebook group for posts about visas, or post your question in that group and see if anyone has answers for you. I’m looking for a reliable taxi driver to take us from Can Tho airport to Ben Tre Mango Riverside Hotel. Can you recommend someone? Can Tho has a lot of taxis – there will be lots of them at the airport. If you can, try to find a Mai Linh or Vinasun taxi. But any taxi should be fine. Either negotiate a price before you leave or go by the taxi meter. Yes, it is OK if you print my Ha Giang Motorbike Guide as long as you make it clear that the information is from Vietnam Coracle. Please do not print it for your guests unless it says clearly that this guide is written by Vietnam Coracle. Thanks for being professional and asking for my agreement. 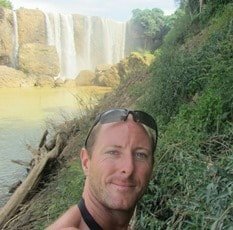 Can you recommend a good informative site for motorbiking in Laos? Sure, try Googling Laos GPS, the guy’s famous for having mapped the entire nation specifically for motorbikers. Thanks, I’ll check it out! Great site and so helpful , thank you and keep doing your thing ! We’re at kon Tum (came on the hcm road) and want to reach hoi an. We’re trying to decide if to stay on the hcm road or take the QL24. Also we drive slow and would like to stay somewhere on the way (so 2 days to hoi an ) cheers ! I would advise staying on the HCM Road to either Kham Duc or Thanh My, and then turning east to Hoi An on either Road 14E or 14B respectively. You can stay the night in Kham Duc on the way. This is a scenic ride, much nicer that the southern section of the HCM Road. I was on QL24 a couple of weeks ago and some of it is a bit bumpy, although it is still a good, scenic ride. Thanks for replying to my earlier comment on the Ho Chi Minh road page. Just another question…i noticed that the route from Qui Nhon to Kon Tum goes via Highway 1 and QL24 in the Classic Route, The Big One as well as The Scenic Route. I’m wondering how many days will it take for that particular route? Assuming that it’s definitely more than a day ride, may I know where do you stay in between? Is it easy to find budget guesthouses on the way? From Quy Nhon, the route follows a coastal back-road north for around 100km to Tam Quan, then it joins Highway 1 for about 60-70km towards Quang Ngai. There are nhà nghỉ (local guest houses) on the way. A good place to break the journey would be Ba To, which is on Road 24 not too long after turning off Highway 1. I was on Road 24 two days ago and it was in good condition. I’d like to thank you very much for your website. It’s amazing and also gives a lot of confidence. I think I would never have done the Ha Giang loop for a first motorbike trip with my 8 years old daughter without having a look at it every 5mn. We did also the loop in Sapa and Mu Cang Chai. I’d like to ask you about our next trip for Tet (we’ve been living in Vietnam for 6 years). We fly to Da Nang from Hanoi and will rent motorbikes from Hoi An. We would like to visit Kon Tum area and we have 5 days and must return the motorbikes in Hoi An. I didn’t find anything on the internet about the road DT616. Do you have any information about it? I’ve read that there where a lot of trucks on QL14 and AH17. For the way back, I guess we will drive on QL24 as you suggested to someone else. Anyway we won’t have time to go much further and do Buon Ma Thuot some other time. If you have any suggestion, I would appreciate very much. Thank you again and I hope to read from you soon. It’s good to hear that you’ve had some enjoyable road trips using my site as a guide. Actually, I will also be travelling to that area during Tet. I want to explore a loop around there, including DT616. I rode it a long time ago, but back then it was impassable after a certain point. However, several readers have written me to say that it is now a beautiful paved road all the way from Tam Ky up to Dak To, where you can join the Ho Chi Minh Road (AH17/QL14) down to Kon Tum. If you want to find more information about this road you could try posting your question on the Vietnam Back Roads Facebook page. Also, QL14/AH17 (the Ho Chi Minh Road) is not at all busy in that area – in fact the section between Kon Tum and A Luoi is some of the best riding in Vietnam (Read Sections 3 & 4 of this guide for more information). The section between Kon Tum and Buon Ma Thuot can by busy with trucks and it is also not very scenic – so you are not missing much by not continuing to BMT. QL24 is a scenic road but parts of it maybe in bad condition now, so perhaps it’s a better idea to go back to Danang via the Ho Chi Minh Road, linking up with either QL14E from Kham Duc or QL14B from Thanh My. Thank you very much for your reply and your suggestion about the roads. We will follow your advice. And if you see somewhere on the side of the road a couple with 2 little girls taking pictures, please stop and say hello! Thought I give an update in case any one sees this. I saw this and thought I’d risk it, did so today. Its currently impassable due to a massive landslide. Earth moving machinery was working there but it appears it will take at least a month or more to clear. There are slips dotted all round the landscape and lots of other slips recently cleared from the road so I imagine this is a reasonably regular occurrence along this route. I would not describe it as beautifully paved road, it was old tar seal which was quite bumpy up until Tra Mai (coming from Tam Ky), then after crossing the river the road really deteriorates for about 5kms going up the hill but passable. I then hit relatively new concrete paving for a few kms, my hopes were up until the landslide. Nothing for it but to come back the way I came. I had a bit of fang on the way back through the bits I knew to be relatively safe (I know but sometimes I can’t help myself), all up not a bad days ride. It’s a pity as it’s a gorgeous landscape, very scenic and through some beautifully lush jungle. Thank you for this update, I appreciate it. So it sounds like the Tra My road is still not in good enough condition to recommend to riders without bikes that are suitable for rough or muddy conditions. That’s a shame but I guess some day it will be repaved. I just came to thank you for all the great tips that helped a wonderful bike trip through Vietnam. Such reliable informations also enforced my confidence in going out of the beaten tracks, making possible unique experiences that I’ll remember forever!!! For the future bikers, I strongly recommend taking the HCM Highway, specially in the most remote area (the 240km ride – Section 5) and also the northern loop. Great to hear that you had a good bike trip through Vietnam and that my guides helped you along they way. I agree, Section 5 of the Ho Chi Minh Road is superb! Tom.. just found your Vietnam Coracle site… excellent! Well done… some excellent material here and the cross referencing is most helpful. We’re coming back to complete the Viêt Nam Run in March, Sài Gòn to Da Nang, having completed the northern loop via Sapa starting from Hà Nôi and the Run down to Da Nang from Hà Nôi earlier, and I rode the Delta ( then by boat up to Phnom Penh, bus back top Sài Gòn in June). I am passing the details of this excellent treasure trove on to my two Scottish riding buddies for their reference ( The Leo Boys… named after a well known beverage, of course..) in preparation for the Run up to Nôi An and then Da Nang. Anyway, just a note to say keep up the excellent site.. BTW just re-reading ‘ A Short Ride in the Jungle’, Antonia Bolingbroke-Kent’s wonderful book, that captures what it is like riding way out in the Vietnamese countryside ( and of course Lao and Cambodia, where the HCM Trial actually went!). Thanks. It’s great to hear you like my site and that you’ve enjoyed riding through the country already. Thanks for telling your friends about the site. I’m sure they’ll have a great time here. I’ll check out the book – sounds good. Yes, that’s the general idea. Personally, I have a GIVI box which is totally secure, so I leave my unimportant stuff (clothes etc) in that, and take the important stuff (passport, money, laptop etc) in my small day pack. But in general, travellers strap their big backpack to the back of the bike, and if/when they stop they leave in on the bike and take their small day pack with them. Hi …really loving your stuff…priceless information. 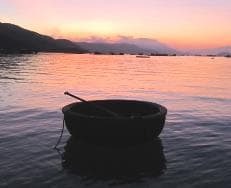 I am in Saigon right now but soon going to be following your trail along the coast by public transport ostensibly to find a wooden boat to rescue….they are even making blue plastic coracles now in Vung Tau…Aaaargh…won’t be long before VN becomes as plastique as Singapore. I wondered if you have any comments about boat living and purchase in VN…every local seems horrified by my intentions to live aboard a decomposing wooden boat on the water…but I reassure them I have been living that way for decades and it is the only way TO live! lol….well…in my opinion anyway. Of course VN makes everything as insurmountable and difficult as it can be, and I have little doubt living afloat will throw up its own obstacles. I shall no doubt need a licence and may need to assume the identity of some kind of work boat…so I shall be taking tourists out and about on painting holidays…if I have to…or find a local proxy. There is no shortage of local volunteer crew. I wondered if you have any experience of buying a boat from from a VN native?…or the most likely location to head for that may offer the best chances? Keep it up. Great work! Thanks, I’m glad you like my site. Yes, I’m not a fan of the plastic coracles either – they don’t have the same aesthetic appeal. Although, of course, they’re much more convenient for the fishermen, so what can you do. That sounds like an interesting project indeed. I don’t have much advice to offer there, I’m afraid. But I imagine that searching the southern coast for an old boat would be fun and should turn up what you’re looking for. If you’re in Saigon now, perhaps you’d be interested in checking out the boat cafe on the Kenh Te River between District 4 and District 7. I can probably find the address if you like. It’s a converted river boat – very nice idea. Yes, I’m sure they’ll be plenty of obstacles along the way, but it would be great if you manage to make it work! I am Thảo, a friend of Tom. Tom has shared with me your intention of buying a wooden boat from a local to start your adventure along the coast. In the previous comment, he has suggested you to go to the boat café on Kenh Te River in District 7, and I really think you should pay a visit to that area if you are still in Saigon at the moment. When I first visited that café with a friend who lives nearby, I was so interested in the idea of converting an old wooden boat to a café that I wanted to meet with the owner or the one who came up with that idea but I didn’t get such chance. Since then, the café has become one of my favourite spots especially when I feel like watching sunset while enjoying the river breeze. They have recently purchased another boat and have been refurnishing it to expand their café business. So, I think this is a good time for you to contact the café owner and ask her/him about the recent boat purchase. Regarding the idea of living or travelling on a wooden boat, it isn’t something horrifying or abnormal to local people who live or earn their living along Kenh Te River. I once had a conversation with a little boy who was selling fruits in front of a big wooden boat which was his floating house. I asked him where his family came from and how long it took his family to get to this part of the city to sell their fruits. Though he was a bit shy and reluctant at first, he told me he is from An Giang province and it took his family nearly three months travelling and stopping along the way to sell their products until they got to Saigon. Therefore, I think there is a high possibility that you can buy a boat and start your adventure the way you want it. Let me know if you need my help to contact the café owner or to talk to local people who live in the boats along Kenh Te River (or along another waterway in District 6 & 8) to find out where you can buy a wooden boat. You can reach me via my email [email protected] . some say that this place is one of the beautiful places in the world but i couldn’t find it in your perfect site. Yes, Dan Kia Lake is the one before Suoi Vang Lake. I mention it in my Pine Tree Road guide. And I talk about Ankroet Waterfall which is on the lake there too. It’s pretty there, but personally I wouldn’t describe it as ‘one of the most beautiful places in the world’, or even in Vietnam. I mailed already but again want to say thank you for this AWESOME PAGE! Really i just checked the saigon night loop and it really looks sweet! Thank you for all your information, pictures , advice and itineraries !! Really great my friend ! Especially the quality of your information is really on a high level! I can only imagine how much time it takes to make your posts ! Thanks again always be blessed! very Grateful !!! Thanks, Chris. Can you please post that comment on my Ho Chi Minh Road guide so that other readers can benefit from your experience, please? The hotel five minutes north of pho chau has two tiers and actually two separate buildings. The bigger hotel with the pool is 500000 for room with pool use and breakfast. At the reception I had to ask for the 250000 price, referring to your notes. It was not listed there. Sorry, my previous reply was meant for this comment. As for Ha Long, yes you can do it independently. Try getting the ferry to Cat Ba Island, or even better go to Van Don Island and get the boat from Cai Rong town and explore for there. I want to write a guide to doing Ha Long Bay without the organized boat tours but I rarely get the chance to go there in recent months. Hello Tom, my name is Corentin and I’m from France. I just wanted to thank you so much for all the help and advice you provide with your website. Indeed, I traveled with a motorbike through Vietnam during 3 months, without any smartphone or GPS of any kind. Only a basic map, my own sense of direction, the people around and… your website. It has helped me decide my itinerary, the beautiful roads no to miss, discover the food and hidden aspects of this wonderful culture. Very well documented with pictures, texts and maps, I was always impressed with how simple it was to use your website. You helped me build amazing memories I will remember for a long time. Well it’s true, I really feel grateful. Thank you again and good luck for everything. That’s really great to hear that you had such a wonderful time riding around Vietnam and that my website helped you a bit on your way. It sounds like you had a great time and one that you will always remember. I was just reading about Nghe An and saw some pricey organized tours going to homestay villages there (Pu Mat park) and it piqued my interest. P.S. I’m only interested in anything north of Phong Nah at this point. Yes, Mai Chau is famous for its homestays – there are hundreds there. Personally, I would recommend Pu Luong Nature Reserve. I’ve written more about this here, however it needs to be updated as you’ll see by reading the comments at the bottom of the post. Long Son is awesome. The hotel cost 250000 and dinner was 45000 and 30000 at the restaurant four doors down up a little driveway. Did not seem to be any irregular pricing… There looks to be a gas station under construction but besides that only roadside “pumps” for gas. Yes, it’s a lovely little place. Good to hear there might be a gas station there sometime soon. 1. I noticed you rode from phong nha to pho Chou in one day. About how much time did that take? 2. I noticed you rode from pho chau to cam thuy in one day. About how much time did that take? 3. I noticed in one ride you rode from Sinho stopping in Lai Chau. Why did you not go further? 4. How much time do you think it would take to ride from Quan Hoa to Yen Chau? 5. How much time does it take to ride from Sapa to Bac Ha in the quickest route? 6. How much time do you estimate it to take riding from Bao Lac to Ba Be? 7. Any idea how long it might take to ride from That Khe above Lang Son to Tien Yen, south of Lang Son on the coast? Time between all those destinations depends on how you ride. In general, on the highways like the Ho Chi Minh Road you will average between 40-60km per hour. In the northern mountains your average speed will be a lot slower because the roads are smaller and the terrain is more mountainous: between 30-40km per hour. So based on this, for your first two questions just take a look at the distances in my Ho Chi Minh Road guide to work out how long it might take you to ride them. For your third question, I just stopped in Lai Chau because the weather was bad. Number 4, just take a look at the distances and make an estimate based on general average speed. Note that some readers have mentioned bad road conditions from Quan Hoa to Mai Chau so it might be better to take the road from Canh Nang through Pu Luong Nature Reserver to Mai Chau instead. Number 5, Sapa to Bac Ha takes a couple of hours, but there are reports that the pass from Sapa down to Lao Cai is under reconstruction. Number 6, Bao Lac to Ba Be takes a few hours. Number 7, again take a look at the distances and use your average speed to estimate how long it might take. The northeast, especially Cao Bang Province around Ban Gioc and Lang Son, is usually where the riding is slowest. Also I had a blast exploring monkey mountain. So many areas to explore with great scenery. Yes, you should be able to comfortably ride from Hue to Khe Sanh in a day. The ride from A Luoi to Khe Sanh on the Ho Chi Minh Road is very nice, scenic, and easy riding, and the road is in good condition. The road from Hue to A Luoi is also scenic, however I’ve had mixed reports from readers over the last 6 months about the condition of that road: some have said there is a bit of construction going on. If you ride it I would very much appreciate it if you could give me and update on the road conditions. That’s great to hear, thanks for the update. (I’ll reply to your other comment soon). Do you know of any lodging options $20 USD or less on the Sop Promontory besides camping? If not I may try camping there or stay at Vinh Hy Resort. Camping on the promontory is very nice. But there are also rooms for about $15-20 on Binh Chau Beach on the promontory. Staying at Vinh Hy Resort is also very nice. In general, remember that on the weekends the area can get relatively busy, but during the weekdays it’s practically empty. Thanks for the Ca Na Hotel recommendation – exactly my kind of place. Great. Glad you liked it. Nice little place. Just curious, have you ever investigated a possible road from Tuong Duong to Que Phong in Nghe An province? It appears on one of my maps and I’m intrigued by it. I took a road similar to this on my bicycle trip some years ago (from Quan Hoa to Na Loc along the Luong River in Thanh Hoa province). In that case the road literally became a dirt walking path. I was able to manage it however and encountered a village where I ended up sleeping. It was a great adventure. I will probably stay at Binh Lieu hotel near Co pass. After that the next definite stop I have planned is Hoi An. I am estimating two stops between those destinations. Can you recommend two good stopping points in that span? I think one would probably be Rang Beach. Is there any particular place you like to stay near Rang Beach? Yes, Life is a Beach is great and so is Haven. Rang Beach and the Quy Nhon area in general is a great place to break the journey from the Co Pass to Hoi An. About the Que Phong road, I have also looked at it on the map and thought that it’s worth exploring, but I never have. That area is supposed to be where the ruby mines are, so perhaps the roads are kept in good condition. In general, the roads leading west from the Ho Chi Minh Road to the remote Lao borders are some of the most beautiful in Vietnam. Please let me know if you do end up riding that road – I’d love to know how it is! Any suggestions for a sleep between Quy Nhon and Hoi An? Thanks. There’s no particular place that I always stay at between Quy Nhon and Hoi An, but Quang Ngai makes sense – it’s a big place but fairly off the tourist radar: the riverbank is nice at night and the town has lots of street food. You could also try My Khe Beach, but not if it’s on the weekend, because it gets crowded. Don’t forget (if you have time) to take the coast road from Quy Nhon to Tam Quan instead of Highway 1. And from Tam Ky to Hoi An too. I was not able to locate the atlas you mentioned in three fahasa bookstores in Saigon. It was also not in a large art book store that the kind hotel receptionist tried. Any other ideas where I might find that atlas in Saigon? Yes, I’m sorry about that – my maps article needs an update: a couple of other people have commented that the atlas is no longer in print. Thanks for the suggestion of Nelles map – I’ll take a look at that when I get around to updating my maps article. Personally, the Travel Map of Vietnam is still the only one that I’ve found reliable over the years: it’s updated every year and it only shows roads that ARE roads and that actually exist which is more than can be said for other printed maps and even Google Maps too. Hey, I followed your advice and I sit now at the impressive hotel in Hanoi. I am picking up my Tigit motorcycle tomorrow and I want to hit the road on Tuesday. I’m thinking of heading towards Hai Phong and I was wondering if there is any other coastal town or area you think I should visit instead? Hai Phong is an interesting city to visit – much nicer than Ha Long. You should be able to put your bike on a boat to Cat Ba Island – either from Hai Phong or Ha Long. You could also skip Hai Phong and Ha Long and head straight to Van Don Island, which is further east of Ha Long City. This is a great place to explore by bike, and from the main town of Cai Rong you can put your bike on a boat to other islands. I’m planning a three days ride in the Sapa valley with my girlfriend; could you recommend me few good motorbikes rentals in Sapa that I can contact and which deals with gears motorbikes that easily fit two people? You should be able to rent motorbikes from most hotels, guesthouses and travel agents in Sapa quite easily, but I can’t recommend a particular place. You could try contacting Sapa O’Chau and asking them where the best place to rent bikes from is. Concerning getting a flat tire, do you carry a patch kit, pump, fix a flat, or anything of that nature? Or do you rely on the ubiquitous tire repair men in most parts and hope for the best in more remote areas? If you’re going to be on the road for a long time, it’s well worth investing in a set of tubeless tyres (about $20 each) – these are great and hardly ever puncture, and even if/when they do, it’s a very slow puncture so that you have enough time to ride to the nearest garage. But, yes, you’re right, in general I rely on the roadside mechanics that are never far away – even in remote areas – to fix any problems that occur. But it certainly is a good idea to carry some basic tools with you. Also I’ve rented bikes that had trouble with their starters. Is it possible to kick start any bike: manual, automatic, semi automatic, etc…? Any other obvious things to look for in choosing the motorbike? How much time do you estimate it would take to ride from Dong Hoi center to Long Son? Yes, Dong Hoi is a neat little city with a great stretch of beach, but you are right that I haven’t written any in-depth articles about it yet. The ride from Dong Hoi to Long Son on road TL563 takes about 2-3 hours – it’s not far at all, but the road is very windy and beautiful so it takes a while to ride it. Your itinerary sounds good to me. I understand about staying on the beaches as long as possible, but another option is to head away from the beaches earlier: you have two options: take road QL49 west from Hue to meet the Ho Chi Minh Road at A Luoi, or take road AH16 west from Dong Ha to meet the Ho Chi Minh Road at Khe Sanh. All of these options are good. Also, do you ever bring an extra bottle of petrol, for example in some of the remote areas on the HCM HWY or in remote areas of north vietnam? The only place you actually have to bring a bottle of gas with you is on this section of the Ho Chi Minh Road, but sometimes I just like carrying gas with me just in case. Do you recommend buying a lock and chain to secure my motorbike when it is parked? In the past, I have never locked my motorbike, but I also had beat up motorbikes. If I get a tigit bike it will be a newer model…. You don’t really need a lock for your bike unless you are going to camp or are planning on leaving your bike unattended somewhere while you go away. You can buy small disc locks which are very good. The GIVI bike box is great. You can get them from the GIVI store on Nguyen Chi Thanh Street, District 5, in Ho Chi Minh City. Thanks for this excellent website; it has been immensely helpful in planning my trip from saigon to hanoi and a loop around the north. This site is full of information and I often get lost in all the info and do not want to miss one piece (which can be tricky because a location/town may often be mentioned under a few different route descriptions). One question I have is that none of routes seem to go along the coast from Dong Ha to Vinh. Is that because the scenery is much better inland or because of HWY 1 or because the coast is not nice along this stretch? My route will be similar to the one you did with your friend except when getting around Mai Chau I will start the northern loop. I have a loose plan of doing the tigit rental. Again, thansk for your excellent website. Yes, that’s right the ride along Highway 1 from Dong Ha to Vinh isn’t particularly scenic, but the main reason not to do it is because the inland route along the Ho Chi Minh Road is one of the best and most scenic rides in the country. If you’re planning a south to north road trip, you should take a look at my most recent post recommending 5 different routes from Saigon to Hanoi here. All of my motorbike guides can be used as cycling guides too. Which ones to choose just depends on the kind of ride you are looking for: coastal or mountains, southern or northern, challenging or easy etc. Have a browse through my Motorbike Guide Archive and see which routes appeal to you, then get in touch with me again and I can give you more information. Have read many useful blogs on your websites. I had finished Northern Loop last February. The weather was not good (really cold, and I even saw the snowing in Vietnam. ), but the tour was amazing. It was a good start to explore the Southeast Asia country with a motorbike. Thanks for sharing your tips about riding in Vietnam. Your articles were really helpful for the trip. Now, I have a plan to take a motorbike tour in other Southeast Asia countries like Thailand, India, Philippine, Laos, Myanmar, etc. Do you have any idea where I can get an information to prepare the trip? 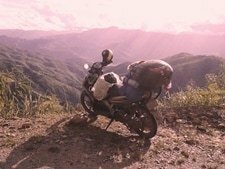 Is there any other blogs, just like yours (not commercial, and specialized in one country), for the motor bike tour of other Southeast Asia countries? Good to hear that you enjoyed your ride in northern Vietnam – even though the weather wasn’t that good. For Laos you should look at Laos GPS Map – the guy is known as the Midnight Mapper and is famous for mapping all of the country specifically for motorbike rides. For Thailand take a look at the Golden Triangle GT Rider website. What an informative and interesting blog you have created! Have saved your site for future reference. I have started a blog. My first one, and not being a pro, it looks a bit messy. Will persevere! . Thanks, Rob. And good luck with your own blog. Have read many useful blogs on your websites. Hope to see you in Hanoi. Your website is NEW Vietnam guide book. First i would like to say what an amazing site….. but! it has caused me a major headache. I was planning on travelling by motorbike from Hanoi to Ho Chi Minh but now find that my plans are expanding, i would like to visit the north now which wasn’t on my list.. The maps you provide are invaluable and i am planning my route on Google maps also, any thoughts or info on a route to Sa Pa from Hanoi would be appreciated so i can link it in with some of the Northern routes. Thanks again, keep up the good work. Yes, the northern loops are great so, if you have time, definitely try to ride some of them. From Hanoi to Sapa there are many alternatives. You could take Highway 70 all the way, or Highway 32 which goes via The Harvest Route, or you could go via Highway 6 and Highway 12 which would include the Sin Ho Scenic Loop at the end. A reader recently wrote to me to share this route to Sapa from Hanoi which is also a good one. My husband and I are going to be in Vietnam for 18 days in June and want to spent a good portion in the north. We’re planning on taking the Sleeper Train to Sapa, and want to explore from there. We’re thinking about spending around 4 days in the area. We’re a pretty adventurous couple…and so I’m quickly finding too many things to do and wish we could stay in Sapa longer, but of course need to take in other areas in Vietnam as well. I’m curious about riding motorbikes up to Tram Ton Pass to check out the scenery and waterfalls…BUT, am also interested in trying to ride motorbikes to Ha Giang Province. We’re also going to be there from Thurs-Sun…so we’ll potentially be able to see the Bac Ha market on Sunday before we catch the sleeper train back to Hanoi on Sunday night. We’re trying to make the most of our trip and want to do as much as possible, but don’t want to feel rushed or not leave any cushion for accidents/weather/getting lost/etc.. Should we skip the Tram Tom Pass and spend 2-3 days driving to Ha Giang Province and back to Sapa…and spend the last day (Sunday) in Sapa and Bac Ha? Thank you so much! I’ve been looking at your site and your adventures seem right up our alley of what’s interesting to us. If you only have Thurs-Sun in the north I suggest you either spend a couple of days in Sapa and then a couple of days riding the Sapa to Ha Giang Loop, or spend one day in Sapa either side of the two day ride on the Sapa-Sin Ho Scenic Loop. Either of these itineraries is possible with around 4 days, but the latter is by far the easiest to follow and the shortest. The scenery is spectacular on both, so don’t worry about that. Both road trips are also off the beaten path (although Sapa itself is firmly on the beaten path). Bac Ha Sunday Market is a fascinating spectacle but it is also overwhelmed with tourists these days, so it’s not a great loss if you miss it. You could time your road trip to coincide with one of the markets in the smaller towns on either of the loops – Sin Ho has a Sunday market, for example. After asking the question, I found your loop to Sin-Ho and think it’ll be perfect! We will do it in 2-3 days, and will do some markets on Sunday. It’s hard to avoid of the tourist hot spots with limited travel time. This is our first time to any country in Asia…so I think anywhere we go will be an experience! Ha! There’s so much to see everywhere. Thanks for your advice…we’ll be referencing your blog up until our trip in June! Sounds like a good plan 🙂 I hope you enjoy it! I really appreciate your work on this website. I just got back from a trip following your southeast loop itinerary through Mui Ne and Dalat. It was an amazing experience. Thanks for sharing your tips about riding in Vietnam. I hope you’ll have many more amazing road trips in Vietnam. thanks so much for sharing your experiences. I originally was going to travel by bus to the usual tourist spots but came across your website and that inspired me to rent a bike for 20 days and try and complete the Ho Chi Minh highway and most of the coast. I really liked the idea of camping along the way so I brought my bike swag with me. I decided I wanted to do this ride without a guide and also without anyone else. That way I would not only challenge myself but also experience the Vietnamese people. Having no friends with me I was able to do what I wanted but best of all was the interactions with the Vietnamese people as I had nobody else to spend time with. I have to say this was the best trip of my life. For me I needed a big dirtbike to not only enjoy the scenery but also the ride. I hired a Suzuki DR650 from Flamingo travel who shipped the bike to Saigon and I was to return it to their Hanoi shop. They are a first class company and supplied me with a fully prepped bike and comprehensive parts and tools list. Thanks to your maps and stories I did the coast from Saigon to Cam Ranh. Then headed inland to Dalat and onto Nha Trang. I stayed off the A1 as much as possible and traveled from Nha Trang all the way to Hoi An. At this stage I decided to head inland again all the way to Kon Tum. This road was amazing and took me 2 full days to complete, camping in the mountains. Loved it. From Kon Tum I started the HCM hwy and headed north until I decided to head back to the coast and onto Denang. Riding the Hai Van Pass a few times I then returned to the HCM hwy. I had to travel the same road to the HCM hwy as I didnt want to miss any of your “best bits HCM hwy” map. I had to miss out on Hue as I was running out of time. Khe Sanh to Phong Nha and continued north until near Vinh I headed back to the coast. I traveled some 4000kms in 20 days arriving in Hanoi. I have to say the weather was perfect for 18 days without any rain which was a surprise but the last 2 days the temperature dropped from a perfect 24 degrees to 6 degrees and rain. I had planned to do Halong Bay but the weather was just to cold for me and flew back to Saigon for the remainder of my holidays. I have you to thank for the experience of my life. I am now planning to ride the north in October when the weathers warm. Vietnam has changed my life and I am grateful. Thankyou. Fantastic to hear that your Vietnam road trip was such good fun and, by the sound of it, a life-changing experience! Let me know when you are in the planning stage of your next trip. Yeah, will do. I already have the dates(26th Sept to 7th Oct) but will extend maybe a week, because I’d like to visit Hue and also spend a few days at Phong Nha. I greatly appreciate your effort in doing this site. This is super organized, full of great info, tips and opinions. Although I haven’t made my trip yet (coming up in March), I feel having some good insights about Vietnam. I learn so much. Can’t wait to follow many of your suggestions in my trip. I was just reading your page on Vietnamese street food. Everything looks so good! While I would love to try them all, I’ve limited time unfortunately. Is there anything that you would particularly recommend to try/visit around the Rex Hotel area? District 1 (where the Rex Hotel is) isn’t that great for street food because it’s the smartest part of town. However, the food stalls inside Ben Thanh Market are always full of locals and the food is good. There’s also a new ‘Street Food Market’ outside Ben Thanh Market that offers ‘tourist-friendly’ versions of classic Vietnamese street food. Although neither of these represent the best street food in Saigon, they are still both good introductions to Vietnamese street food. Following my trip to Hanoi, motorbike to Lao Cai and 6 days up north Sa Pa and Dong Van to Meo Vac in Apr 15 it looks like my cousin and I will be back in Mar 16!! Yippee! We’ll use Flamingo again for hire and take two weeks to go SGN to HAN then get a few days with friends in HAN before doing some more touring around the NW this time. I love your guides, esp your 2014 2 month tour, a question or two though; if we wanted 4 or 5 days beach stops early on before heading in-land for the HCM road do you think it’s doable? If so what beaches in early March do you think? We’d probably treat ourselves to nice hotels before doing guest houses the rest of the trip. We hired CRF250L up north last year but not really sure that’s necessary this time, although my 100kg plus might work better on a bigger bike, what do say? Yes, 100kg is quite a load! But some passengers weigh that much so in theory it shouldn’t be a problem if you want to use a smaller bike like mine. Yes, I think a few days on the beach in the south before heading to the Ho Chi Minh Road is doable. You’re spoilt for choice really. Perhaps it’s a good idea to browse my coastal routes archive and my beaches archive (some of these posts overlap) to get a feel of what’s available. Quy Nhon is a pretty good place to hold up by the beach for a few days, especially as it’s not far from the mountain road (Road 24 which starts just south of Quang Ngai) which I usually recommend taking up to meet the Ho Chi Minh Road at Kon Tum. If you’re looking to splash a little cash for a good resort then AVANI Quy Nhon is a good option. Hi, Tom the website is GREAT!!! So the questions are: one, do you know any magic solution to get our bike to Hannoi quick? Trucking etc. Or if not can you tell us if we will find a bike as easily as Ho chi (we paid 180 U.S for the airblade) for the month, the guy didnt ask us for license but he has our passport. We have been fine travelling with one passport and copy of the other for hotel guest house etc. But, not sure what we will do if a Hannoi bike rental wants the other? Lastly, we have 15 days to do this in so we think a quick look at Dalat followed by a flight to Hannoi for north loop is the best use of our time but we may choose to delete Dalat and attempt to get from Nha trang to North loop on the bike and then train bike and plane ourselves back to Ho chi, but this maybe difficult and pushing it especially for the pillion wife. Your thoughts on these questions will appreciated as is all the hard work you do to help so many have such fun! Cheers, Dan and Aya. Following on from the email I sent yesterday and after you checked the weather in the north, yes, it does sound like you should stay in the south. If I were where you are now and had the time you have left, I would: take the coastal back-roads from Nha Trang north to Quang Ngai (zoom in close to the relevant areas of this route map to find the roads). From Quang Ngai I would take Road 24 up to Kon Tum. From Kon Tum I would take the Ho Chi Minh Road all the way to A Luoi. From A Luoi I would take Road 49 down to Hue. (For details about the Quang Ngai-Kon Tum road and the Ho Chi Minh Road check this guide). From Hue I would take the coastal back-road to the Hai Van Pass and over the Danang/Hoi An (all this is covered in this guide). Then you can either train or plane it back to Saigon. The above is good for a week’s trip. Again, bear in mind that the weather could still turn cooler and perhaps more rain as you travel north of Nha Trang. I hope this helps you with making a decision. I hope you do get a chance to come back for the north – it’s well worth it! I’d love to get up to Japan some time soon – it’s been over 10 years since I was there – so I’ll definitely let you know when I do! I JUST found your amazing site just before my 3 week trip (12 Dec-5 Jan)! Thankfully I’ve made only a few reservations so I can experience Vietnam a bit like you do. I’ll be alone at Christmas and western New Year and wondering, at this late date, where I should hang (preferably in different places). Con Dao (instead of Phu Quoc)? Elsewhere? It depends what you’re looking for: Con Dao is very peaceful and quiet (no parties), whereas Phu Quoc has more visitors and the beginnings of a bar scene. To help you decide, take a look at my comparison of the Con Dao and Phu Quoc here. Thanks a lot and greetings from Poland! Yes, both those options are good. Con Dao Camping is good value for money: it’s right on the beach, clean and simple accommodation. You’re right that it’s near the new jetty, but Con Dao is still so quiet that it probably won’t disturb your peace. There is a little bit more of a backpacker (or ‘flashpacker’) atmosphere at Con Dao Camping than the other beach options. Seatravel is romantic and quiet. The rooms are large and the beach is great. However, as you say, there have been many bad reports about it on TripAdvisor. But personally I have never had a negative experience there, and on my last visit it seemed to me that the owners were trying hard to improve their reputation. The rooms and beach are nicer than Con Dao Camping, and it’s quieter too, but of course it’s more expensive. I hope this helps you make a decision. That’s great to hear. I hope you enjoy doing it as much as I do. Good luck! Wonderful website. My wife and I are planning to come to Vietnam at the end of Nov this year for 2 weeks and we want to stay 2 nights @ Mr Si s home stay while visiting Hanoi. Also do you have any other methods of contact for verifying the availability of the homestays, haven’t had much luck by phone. We are truly looking for an authentique quiet and humbling experience. Everything you have described makes us feel the sensations, sights, smells. However, if you’re looking for something a bit more ‘real’, Pu Luong Nature Reserve is dotted with other great homestay options. You can try Mr Ba’s homestay (not far from Mr Si’s), or just go to Mai Chau for a night, get your hands on the map of the nature reserve (the one I mention in the article) and work something out on the spot. Travel to Pu Luong Homestays is probably easiest via Mai Chau anyway. Local buses leave Hanoi to Mai Chau as it’s popular route for travellers. So I did my homework 🙂 and read all your North Vietnam reports. They looks great and are loaded with helpful tips and details. thanks for that. great site. you have here. so I consider to combine the motorbike loops if possible. and then, do the loop of Sin-Ho, and then going east. It’s kind of a long loop until Cao-Bang or even further, to Lang-Son. So, do you suggest i rent the bike in Sapa, and just do this huge loop ? are the bikes in a good condition to bear such long tour ? I like photography and authentic places, costumes and colorful markets. can provide some good photos ? last question – i have around 20 days for the motorbike trip. do you think it’s enough ? if i do have some extra time left, what would you suggest me doing ? I would recommend renting your bike from a bike company in Hanoi: they can deliver the bike to you in Sapa and pick it up at your end point too. Try contacting Flamingo Travel or Rent a Bike Vietnam for more details about this. These two rental companies keep their bikes in good condition, so they will be ready for such a long loop. Also, they will give you a contact number so that if anything goes wrong while you are on the road they will be able to help. There are lots of good off the beaten track villages and markets on this loop: Sin Ho has a Sunday market, and so does Muong Khuong. Colourfully dressed ethnic minorities dominate the region, so you will encounter lots of authentic markets, villages etc along the way. The Sunday Market at Bac Ha is the biggest, but it is very touristy these days. Your reply was very helpful. already contacted the 2 motorbike renting agencies you recommended. I appreciate the time you take to reply and strangers around the world who need a good advice or a tip from experienced guy. Great website & blog. I love your concept to help visitors get the most out of Vietnam. I stayed in Hanoi about 10 years ago, did the usual trail of Halong Bay & Sapa hill station. This time Im meeting up with my boyfriend for a long weekend in Hoi chi Minh City. He lives in Jakarta, myself in Dubai. We have 3 full days + Tuesday morning. If you have time I would really appreciate some help to make the most of our trip. We plan to hire a motorbike and see as much as we can without totally over doing it. As I mentioned both us is live in pretty hectic cities. I miss anything Green/nature/animals/waterfalls/culture/temples since living 12 years in the wonderful but concrete playground of Dubai! So Im interested to see the monkeys, but not sure if there is one national park or a few ?? Its not clear when I read. I would also love to see some rice or coffee fields. We have however booked our accommodation for the 4 nights in Hoi chi minh, which of course limits our options as we need to head back to the city each day. Not sure if that was the best idea. Regards to food I am a Vegan. What the hell am I going to eat Tom? lol. Although Im happy to live on white rice & the green veg (if there is something Kulung like in Indonesia) so my partner can enjoy fresh fish & sample some street food. Well, considering you don’t have much time in Vietnam, and that you need to be back in Ho Chi Minh each night, your options are limited. Your other choice for a national park is Cat Tien, which is 150km northeast of Ho Chi Minh. There’s a Gibbon Trail here, but you will not be able to drive there and back in one day – you would have to stay overnight at Cat Tien. Coffee and tea plantations are even further than Cat Tien so you probably won’t have time to do that either. You could drive to Ho Tram and Ho Coc beaches for the day. There are rice fields there too. But again, you will need to leave early in the morning to make the day trip there and back. You can also drive to the nearest towns in the Mekong Delta and back in one day. Places like My Tho and Ben Tre are about 3 hours’ drive fom Ho Chi Minh. Here you’ll find rivers and rice fields and fruit plantations. I must say that I keep coming back to this site to get more and more information about Vietnam and riding there. My best friend and I are visiting Vietnam to do a road trip from HCMC to Hanoi in September and we’re planning on taking Highway 1 pretty much the whole way up. That is, unless anyone has a better suggestion? Thanks again for all your input. It is advice we are planning on taking quite seriously! I don’t recommend that you stay on Highway 1 most of the way from HCMC to Hanoi. If you do that you will miss some of the best countryside in Vietnam, and you will also have to deal with more traffic on the roads. The best way to see Vietnam on a motorbike is to stay off Highway 1 as much as possible. I suggest you take a look at my Route Map and click on some of the links to guides that interest you, and start building your itinerary from there. Also, browse my Motorbike Guides Archives for some of the more interesting back-roads and loops. Then, when you have a clearer idea of what you’re itinerary will be, email me and I can give you some more detailed advice. Lagi is a fishing town on the beach about 50km south of Phan Thiet. There are local buses that ply between Phan Thiet and Lagi. In Lagi you can stay by the beach at Ba That Resort for a couple of nights and in town at local guesthouses. Lagi town has decent street food and a large fishing fleet. You could say it’s like a smaller Phan Thiet. You could also go to Coco Beachcamp which is just a few kilometres out of Lagi. I’ve written a bit more about Lagi is Section 1 of this guide, and also Day 1 of this guide. Hello Tom, i’m a fellow viet-canadian circus artist. I really love your site and i’m impressed by all the detailed informations. I more of the outdoorsy adventurous type. I’ve been living in Hanoi the past year. I’m heading down Central between Hoi An and Nha Trang for 2 weeks. I have a tent, been roadbiking a lot in the north, i know the camping situation in VN. Do you have other sweet spots or suggestions (beach or forest) like the one in Dalat 😉 ?? Hon Gom Sandbar, north of Nha Trang, has a tiny village near the tip. If you avoid weekends, the beachfront restaurants will let you pitch your tent on the sands – it’s a beautiful spot. Also, the beaches around Quy Nhon are good. South of Quy Nhon there are loads of pretty coves, some with informal accommodation – again, if you ask they might let you pitch your tent. Try asking Haven Guesthouse. Most places will ask for a small fee to camp on their grounds of course. Thanks for maintaining such an amazing and informative blog. There is so much to take in! I am also from the UK, although I have been living in Tokyo for the last 3 years. While I had one in the UK, I don’t have a motorbike here in Japan and I miss it very much. I’m considering coming to Vietnam for a month to ride around, but I haven’t really done a holiday like this before so I’m a bit apprehensive (as well as not being able to speak the language very well). Would you mind if I emailed you some questions about doing this sort of thing? You definitely seem to be the man to speak to! Thanks again for the webiste, it must be so useful to so many. Thanks. A month is a great amount of time for a road trip in Vietnam. You’re welcome to email me anytime with more questions. Hello we are in mui ne at the moment with our motorbikes and our next stop will be dalat, wich route would you recomend, QL28 or DT716? Ps: you have an awesome page! Thanks. I assume the road you refer to as DT716 is what Google Maps now labels QL28B? This is the road that goes via Dai Ninh Reservoir. If you haven’t already seen it then take a look at my guide to the Southeast Loop which has pictures, a map, description and video of both the routes you are thinking about taking. QL28B is more direct and, as it meets Highway 20 to Dalat at a later stage, it cuts out the time you have to spend of that highway – which is a good thing because it’s a relatively nasty highway. However, the mountains and jungle and more impressive on QL28. But, as this road meets Highway 20 at Di Linh, then you have to drive 80km on that highway to Dalat. Overall, I’d take QL28B because you get both beach and mountains (the first 40km from Mui Ne goes along the sea and past the sand dunes, before heading into the mountains). Note that there are parts of this road that are a little bumpy, but it’s not too bad at all. Ideally, do it as a loop and take one route up and the other down, as I’m suggested in the guide I mentioned above. Thank you very much!!! I would do the hole loop but we are heading to hanoi so we dont have enough time to loose an extra day (we have almost a month, but there are some places in the north we really want to get lost!!) Thank you for the advice, i think we will take the QL28 just for the scinery!! One more time, Awesome page!!! Wonderfull web site, thanks for that. I will arrive to Hanoi next Tuesday to start my trip on my push bike from Hanoi to Sigon. I”m looking for very detailed map of OCM highway to Have it in hand and to load into my garmin Gps as well, can you please help me with it. While in Hanoi, where would you recommend to stay for 2-3 night and where I can meet and get the best information from other travelers. If you want to meet other travellers in Hanoi then stay anywhere in the Old Quarter. There are lots of cheap and decent guesthouses and lots of fellow travellers. I can’t recommend a particular place to stay – check the trusted guidebooks – Lonely Planet etc – to find out what they suggest. The Ho Chi Minh Road is easy to follow. If scenery matters to you (and you’re not overly concerned about cycling up big hills) then make sure to take the Western branch of the Ho Chi Minh Road from Phong Nha – the Eastern branch is dull in comparison but it is a lot easier to cycle. For a map and guide of the central section of the Ho Chi Minh Road have a look at my guide here. For other advice on which maps to use have a look at this. Also you could check with Flamingo Travel in Hanoi – I think they are developing a GPS system for motorbike rides around Vietnam. Love your website! I am planning my first trip to Vietnam for about 3 weeks: Aug 20-Sept 11 with my 19 year old daughter. From SF, I plan to fly into & out of Hanoi. I’m having difficulty deciding in which order to see places. Also, is it easy & safe to hire a guide for each of the places once I get there or should I try to arrange it beforehand? Your suggestions or guidance would be much appreciated! I’ve sent you an email. super blog. information overload. lots of reading to do. do you have any info on ha long bay please? i want to know what kind of cruise to book & for how long. Halong Bay is great but there’s no denying it is jammed packed with tourists these days. Most people do a 2 day tour (with one night spent on the boat). They’re easy to arrange in Hanoi, rather than doing it in Halong City. There’s loads of competition for these tours so prices can be very low, but standards can also be very low too. In general, you get what you pay for: if you go cheap then you may be disappointed; pay a little more and you’ll get a lot more from the tour. I reckon on between $100-150 all inclusive tour from Hanoi. I can’t recommend any particular tour company, but make sure you check the reputation of the company before you book the tour. Anything we’re missing? I don’t want to be spending all day on the bike to be honest – not much fun for the passenger! So hoping this route means we can take it easy and not feel too rushed. Happy to hear that you find the website useful. March is a pretty good time for this route. These are all great roads but they are very mountainous and therefore pretty slow for driving. You’ll probably average 30km an hour, plus all the stops to take in all the great scenery. I would estimate, depending on your riding stamina, about 4-5 days riding for this route. That’s assuming you’re taking it at a leisurely pace and making the most of the journey. So that would give you at least 2-3 days of staying put in one place. I noticed your map doesn’t include the Ha Giang Extreme North Loop – this should not be missed. Check it out here. Also bare in mind that the more time you have on these road trips the better. Things don’t always go according to plan: bad weather may hinder progress, or landslides may close roads, or new roadworks may slow you down, or quite simply some bits of the journey may prove too alluring to pass by in just one day. I hope you have a fantastic trip. Yeah it seems a shame to miss the extreme north loop but I don’t think we’ll have the time (or perhaps Ba Be will have to go amiss instead). I’ve also noticed in your guide that the road between Lao Cai and Xin Man is closed so this will probably add a day to our journey to Xin Man (unless it’s re-opened, I’ll check with bike rental people – EasyRider, they’ve been great so far!). Will update as I find out! If you are going to miss out either the northern loop or Ba Be I would leave out the latter – although both are great destinations. There’s only a small section of the road (about 20km) that was still unmade when I last visited (Oct 2014). The section is just north of Bac Ha after you turn east to Xin Man. It’s passable if you are on a motorcycle (not a scooter) but if it’s been raining this short section is hellishly muddy and very slippery – especially with a pillion. They’ve been upgrading it for years, so maybe it’ll be finished by the time you get there. Thank you for all informations, very helpfull! We are a couple with a motobike. Do you know if it’s possible to bring the motobike on the ferry boat? (And maybe the price!). It’s not possible to put a motorbike on the boat between Saigon and Vung Tau. However, the ‘back road’ between Saigon and Vung Tau is in great condition and takes between 2-3 hours to ride (read more about it here). Or you could rent your motorbike from Vung Tau at Ned Kelly’s Bar, just across the road from where the ferry docks. I am visiting Vietnam in August 2015 for 18 days and seriously considering returning the following year to see more of Vietnam as an independent traveller. However I do have some reservations as I am a single mature woman who just might be susceptible to scams etc. I can see that one can travel the country a lot cheaper than an organised tour. I wonder if there is someone ‘out there’ who might be interested in joining up? Vietnam is still a pretty safe place for female travellers, off all ages. There are scams here and there (as there are in most industrializing countries people travel to) but they are mostly in the big cities and very touristy areas. Check your guidebook for a list of common scams and you should be absolutely fine in Vietnam. However, a travelling companion is a good idea, so hopefully someone will respond to your comment on above. I’ve read many of your articles with interest, especially the recent series on your travels to the far north. However, I wonder how many of your readers will actually follow some of the routes you have described in such detail. I spent 6 days in the area recently and saw less than a dozen ‘foreigners on bikes’. In contrast, I wondered if you might consider a series of articles on ‘short trips by motorbike from Saigon’? I think more people would make use of these. I have made a number of interesting trips around Thanh Da and Can Gio which involve multiple ferry crossings. If I can master Google Maps as well as you have I could send some suggested itineraries. Keep up the good work – obviously a labour of love! Quite a lot of people drive those remote routes, and the numbers increase every year, as gradually travellers and expats in Vietnam become more adventurous and want to experience something more off the beaten path, rather than going to Mui Ne and Hoi An over and again. I often receive emails from travellers asking advice on areas such as Ha Giang, because there’s still not much written about it out there. Yes, you’re right, I have been planning on a series of day/night motorbike trips from Saigon, but there are so many other things I want to do that I haven’t got around the writing it up yet. I’m not a big fan of Can Gio – for me the best trip within relatively easy reach of Saigon is Ho Tram/Ho Coc, no matter what kind of budget you’re on. I actually found this article more helpful then any other ive read. I plan on following his exact route from HCMC to Hanoi. This article made me ralize how possible and easy and beautiful it will be. Thanks! I hope you enjoy your road trip from south to north. Hello and thank you so much for this blog! My boyfriend Ben and I arrived on Monday (HCMC) and have since been around to many of of your recommendation. Ben has bought a 125 bonus which he plans on stripping down and rebuilding on Monday for our trip up North, we are very excited! Part of the reason for this holiday is to see if we want to live here. Ben has numerous meetings set up next week, he is a chartered surveyor. We want to explore areas to live in and was hoping you could recommend some nice spots. We are not into mod cons, more shop houses/alley houses. What a wonderful website. 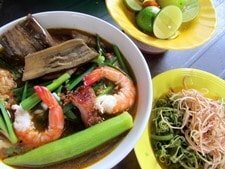 I’ve been traveling to and in Vietnam for 12+ years and I found many new ideas of places to visit and food to taste for me here. I particularly liked what you had to say about the food. Some of the food smells are far from western palates. There are good restaurants and bad ones and seeing where the crowd goes is usually a good indicator. And if you end up getting invited for a meal in a home, there is no guarantee the host will be a good cook. However the cultural exchange will be worth it. You just need to try it. "Excellent independent travel advice from a long-term resident"